Despite Dalrymple’s assertions, this is not a story about outside environmental agitators indifferent to North Dakota. This is a story of a people who have faced a long history of suffering, broken promises, and injustices and are facing them again. This is a story of national concern about the Dakota Access Pipeline that involves everyone from religious leaders to Wall Street. And that’s a story Dalrymple apparently doesn’t want to discuss. What is needed now is not a fictional story blaming outsiders for all the problems. What is needed now is leadership to bring about dialogue, understanding, and healing. That is a role I wish Dalrymple had chosen to play. Let’s take a look at his analysis. It has a very familiar ring. 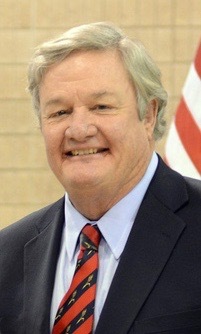 Dalrymple’s logic echoes that of eight white clergymen who criticized Dr. Martin Luther King Jr. for protesting the treatment of blacks in Birmingham in 1963. 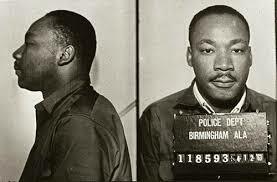 King was arrested and put in jail for breaking a city injunction against protests. Both the clergy letter and Dalrymple’s Op/Ed emphasizes the need for law and order and blame problems on outside agitators. When rights are consistently denied, a cause should be pressed in the courts and in negotiations among local leaders, and not in the streets. This truly tramples on a legal and orderly process in favor of mob rule. What has ultimately happened here in our state is that the Standing Rock Sioux Tribe’s voice has now become largely overshadowed. While Dalrymple decries “paid agitators”, he provides no facts for his assertions. Who is he talking about? The Sierra Club? Honor the Earth? Have there been arrests and charges against paid agitators? 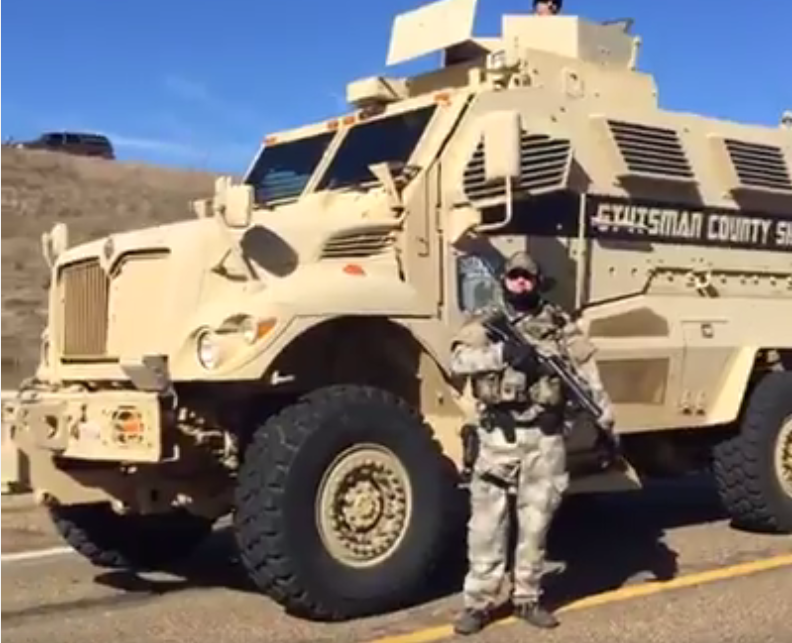 Mother Jones and other media outlets have reported about a DAPL security guard who showed up at the Water Protectors camp with an assault rifle. That might qualify as a paid agitator. But where is Dalrymple’s proof? Dalrymple says there have been 500 arrests, most for trespassing, but some for violent, threatening and destructive behavior. This is not a highly organized movement and some people are operating outside of the expected norms of prayerfulness and non-violence. And to the extent there is violence, it doesn’t mean the violence is coming from paid agitators, it could be coming from a place of youthful anger. Many faith leaders have traveled to Standing Rock to show their support. Based on research and experiences, various religious denominations have come out with statements of support for Standing Rock. These people are not paid environmental agitators. Is Gov. Dalrymple aware of their concerns and how does he respond? Does he believe they have all been duped? One United Nations expert said the water protectors faced excessive force. Dalrymple’s Op/Ed refers to law enforcement’s “exemplary management” of protesters. “We are proud of the restraint and professionalism of our officers,” he said. That is a shocking statement, given how DAPL security and law enforcement provoked and intimidated the Water Protectors. DAPL intentionally dug in areas marked by Standing Rock as sacred. Sheriff’s deputies used fire hoses against the water protectors in freezing temperatures, as well as rubber bullets and tear gas. At night, they used flood lights and helicopters over the Oceti Sakowin camp to try to interrupt people’s sleep. Once arrested, people were ill treated. Here are two statements from the United Nations investigators raising concerns about the use of excessive force against the water protectors and a war zone atmosphere that was created. Native Americans facing excessive force in North Dakota pipeline protests — UN Expert. Statement released by the U.N Office of the High Commissioner on Human Rights, Nov. 15, 2016. UN Expert Releases Report on Conditions Surrounding the Dakota Access Pipeline, Nov. 1, 2016: Reprinted Nov. 9 in Cultural Survivor. Is Dalrymple aware of these statements and how does he respond? Dalrymple criticizes the Standing Rock Nation for failing to engage in the pipeline siting process. He says the process started in 2014 with a filing at the North Dakota Public Service Commission. A 13-month review process included public-input meetings held across the state. As a result of these meetings, the route was modified 140 times to ensure environmental safety … First and foremost, not one person from the Standing Rock Sioux tribe attended any of the meetings and hearings publicly noticed by state regulators over the course of two years. Dalrymple’s basic premise is that Standing Rock was supposed to show up and get in line at Public Service Commission meetings along with John Q. Citizen. That is patronizing and says a lot about how Dalrymple views Native nations. He fails to allow for the fact that Standing Rock is a sovereign nation and the state of North Dakota should show it deference in communicating and seeking comment. And, as will be described further below, Standing Rock has ample reason not to trust the process or believe its concerns will be taken seriously. More importantly, Dalrymple left out key information. As late as May, 2014, the plan called for DAPL to cross the Missouri north of Bismarck, well away from the Standing Rock Nation. In September 2014, out of concern for the risk the pipeline posed to drinking water in Bismarck and other reasons, Energy Transfer Partners rerouted DAPL to cross the Missouri River near Standing Rock, according to this Bismarck Tribune story. We are troubled by the manner in which Energy Transfer Partners, L.P. [ETP] has approached the concerns of the Standing Rock Sioux Tribe in the construction of the Dakota Access Pipeline (DAP)…. Although ETP claims that they consulted the Standing Rock Sioux Tribe on the DAP, their approach was entirely inadequate in our view. They only consulted with the Tribe after the pipeline had received approval from the Army Corps, not during the planning stage. Moreover, according to Tribal leaders, their consultation was merely to inform the Tribe of their plans; they had no intention to gain agreement or community support. These are not environmental agitators, but major investors. Dalrymple’s piece did not mention their concerns. How does he respond? The tribes were not only unwilling to sell their land, but strongly opposed the taking of their land. During the negotiation phases, assurances were given expressly or by implication by various federal officials that problems anticipated by the Indians would be remedied. The assurances raised expectations which, in many cases, were never fulfilled. So here we go again. Standing Rock is being asked to bear the burden for a project from which it does not benefit. Given history, it is not surprising if Standing Rock doesn’t trust the state process and is standing up for its rights in the best way it knows how. And many people are rightly coming to support them. Thank you for exposing the double-standard between protecting Suburban White (or non-Native) people versus ignoring the even more complicated nature of dealing with a Sovereign Nation. The analytical way in which you repeatedly seek responses from the Governor is a robust and refreshing demonstration of how we can hold people in authority accountable without resorting to histrionics or inflammatory speech or behavior. In this season of heightened uncertain anticipation, of what state and federal elected and bureaucratic leaders will do on behalf of, or to, ‘the people,’ in 2017 makes me more commit than ever to identify and act on ways to incorporate cultural activism into my weekly/monthly life. These would not be so motivating trains of thought without your civic commitment to expand conversation and participation in important matters beyond the too-small communities that originate discussions or expose plights and champion healing conversations and future transformations.